Employees from all over Wales joined the cycle to work scheme in floods when it was offered to them by Dwr Cymru (Welsh Water) this August. A total of 313 employees joined the scheme following promotions held at locations across Wales. 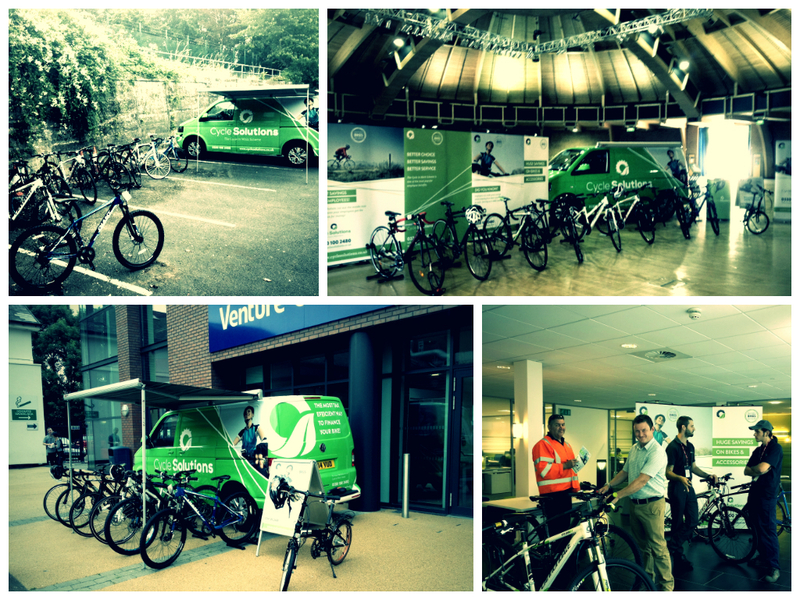 Scheme provider, Cycle Solutions, visited 7 key sites from Cardiff to Caernarfon and employees were drawn to their ‘Virtual Shop’ road show events where they could sample some of the bikes and equipment available through the tax efficient benefit scheme. Kirsty Hennessy of Dwr Cymru was delighted with the take-up rate achieved, with over 10% of the workforce participating. "Before we launched the scheme we contacted a number of water companies in other regions to gauge the likely uptake. Most said that they had achieved an average of 3% to 4%. Clearly our workforce really appreciated this benefit." Ceri Griffin of Cycle Solutions worked with Dwr Cymru to ensure the scheme was well promoted to employees across Wales; "As a welsh speaker myself , I was conscious that some employees in the more remote areas of Wales could feel a little excluded from the cycle to work scheme." "As well as providing road shows in the key cities of Cardiff, Swansea and Newport it was great that we were able to engage with Welsh speaking staff in the more outlying areas across Powys and North Wales." Employees of Dwr Cymru were able to select from over 140 bicycle brands, and through the cycle to work scheme could make typical savings of 32% to 42% on the cost of a new bike and cycling safety equipment. The Tour of Britain drew crowds of fans out all over England and Wales earlier this month to cheer on big names like Sir Bradley Wiggins and Mark Cavendish. More and more people across the UK are now looking at the financial, health and environmental benefits that cycling to work can bring.